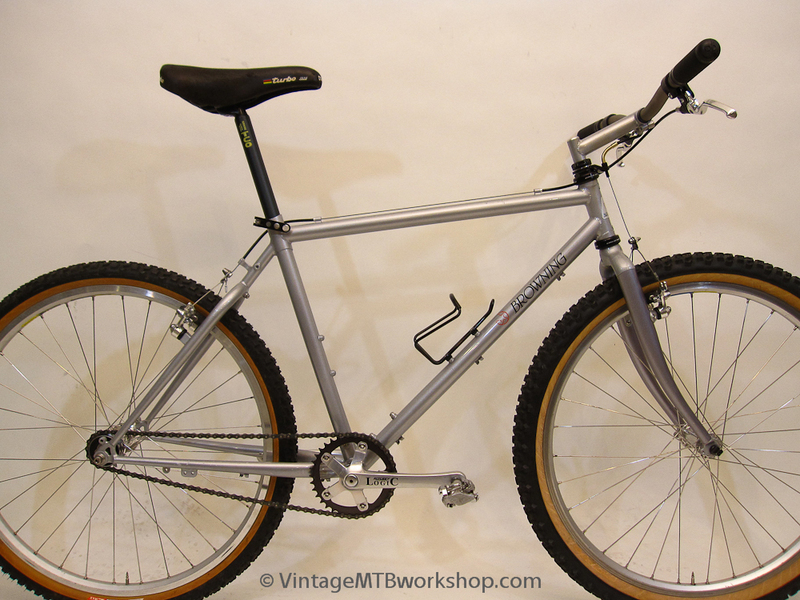 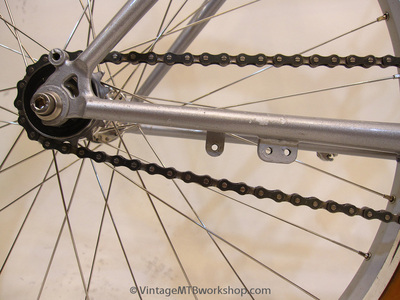 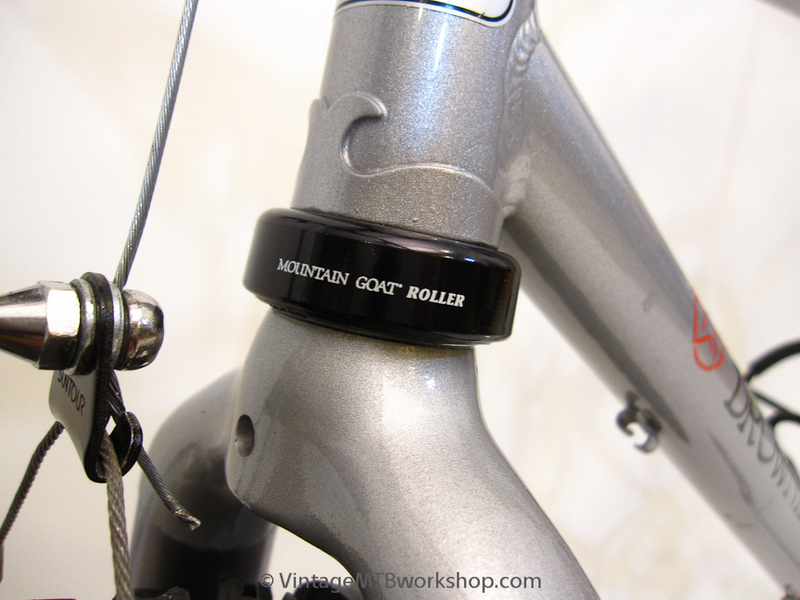 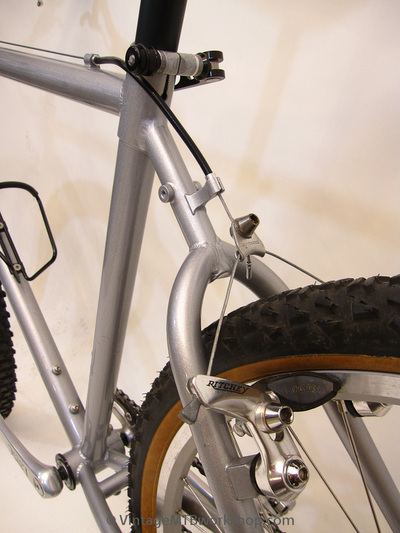 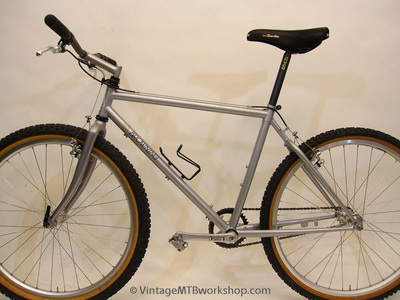 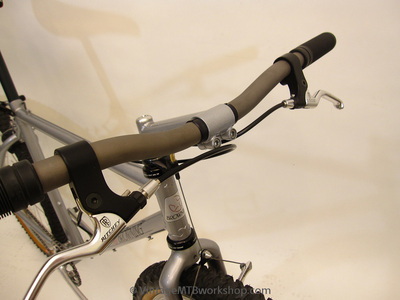 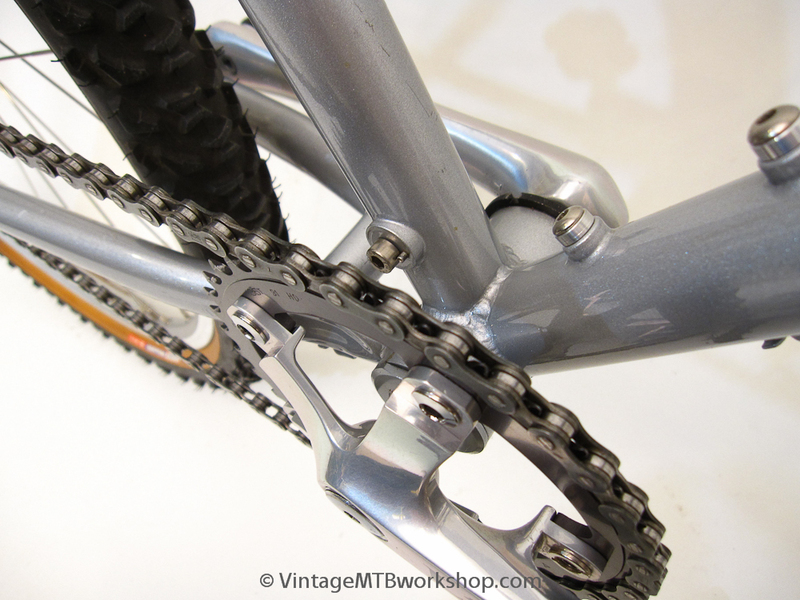 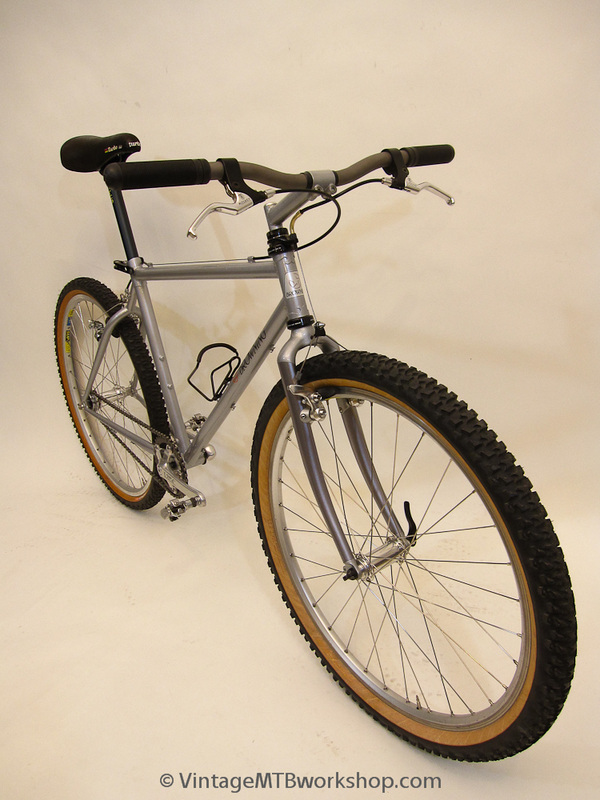 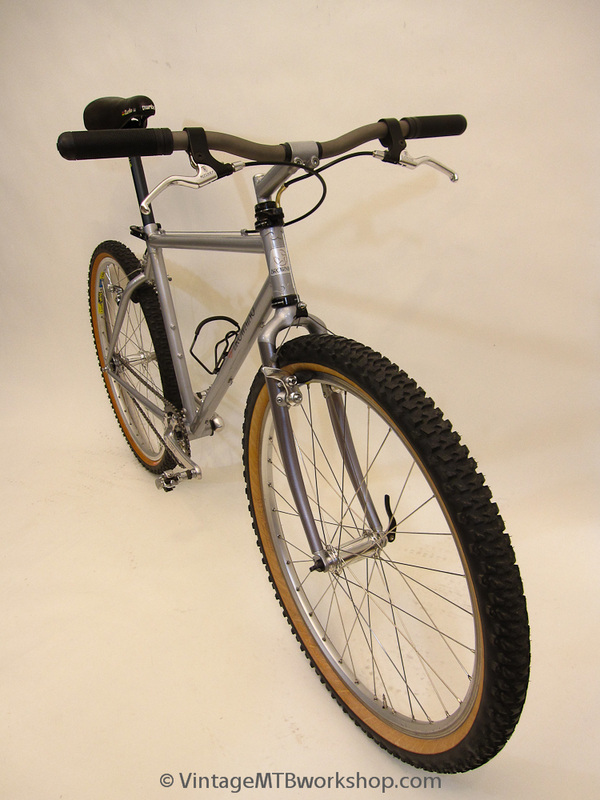 This odd frame was built by Mountain Goat for Browning, the company that developed the BEAST electronic shifting system that was licensed to Suntour. 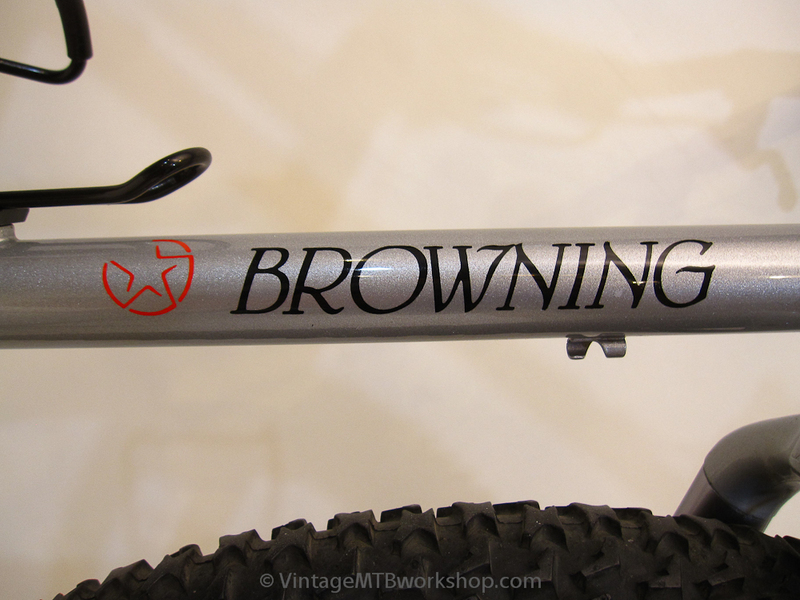 It was probably a platform to feature and test the Browning Automatic Transmission, and probably made an appearance at a bike show. At its core, it appears to be a Whiskeytown Racer frame with no rear derailleur hanger, and some odd attachment points and brackets. 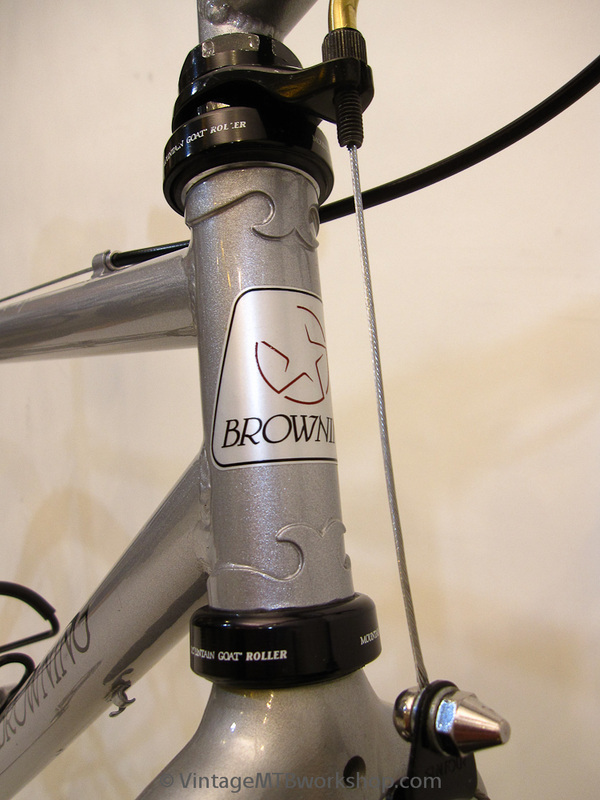 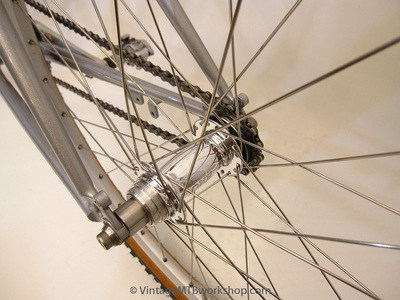 This configuration makes it a good single-speed candidate using a White Industries ENO hub. The build is purposely a non-Shimano affair: White Industries hubs, Ritchey levers, brakes, and cranks, White Bros. titanium handlebar, Suntour BB, and Mountain Goat headset. There isn't a lot of chainstay clearance, so the 2.35 tire used on the front wouldn't fit in the rear.